What is Troy Kitchen, and where did you get the idea for it? Troy Kitchen is a luxury food court. It'll have four different restaurants, a coffee shop, a beer and wine bar, and a stage. It's a place to get food and entertainment all under one roof. The idea came from that I don't cook, ever. I eat out three meals a day. I'm always eating out and I wanted to bring more food options to Troy. I wanted to create a place where you can get affordable food, different variety, and food options that currently aren't too available in the Capital Region right now. The stalls for the food vendors. What are the specific restaurants that will be included? Troy Lobster is a seafood restaurant. 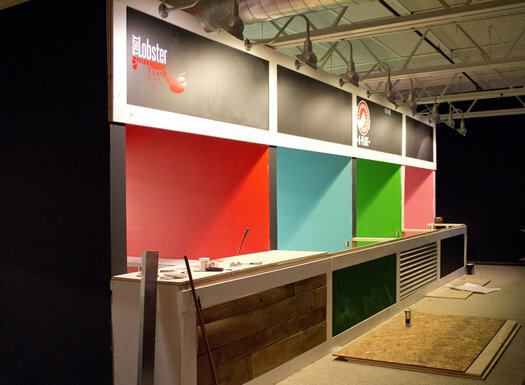 They're going to sell lobster rolls, crab rolls, shrimp rolls, lobster bisque and other items. And we have K-Plate, which is a Korean BBQ restaurant. They currently have a cart up at RPI. And we have Magdalena's, which is going to sell tacos and other Mexican cuisine. They're the people from the Troy farmers' market. The coffee operator is a new operation, and the beer & wine bar will be operated by Troy Kitchen. You're just doing beer and wine, not liquor, right? Yes. It'll be 12 taps, with six beers on taps and six wines on tap. They'll all be $6. Originally you had planned to open in a former bank building on 4th. Why did you end up in this spot, and why in Troy? I feel like this location, versus the bank, had much more to offer with the building. It was much wider, I could add a stage. The bank didn't have the width to give it a stage like this place. Food is important to me, but also entertainment and having a good time is important. I think the food is what's going to bring people here, but the good times are going to keep them there. What do you gain from the food court design? Much more options, and it reduces the burden of the vendors going in. They all have really cheap rent; much significantly cheaper than if they wanted to open up their own restaurant, and it comes with everything. I'm building a commercial kitchen for them; I give them the walk-in coolers, and the prep space. So they just essentially have to show up and do what they do best, which is cook. Because none of these places have a physical, brick and mortar, location. They have skill. Most of them never ran a restaurant before, so some people may see that as a downside, but not me. I'm like, "You can learn that." If you have the passion to do that and you want to produce good quality, come on in. The bar area and seating. With four different restaurants, and the bar, and the coffee shop, you'll probably need a lot of foot traffic and customers. How do you think you're going to achieve that? I think foot traffic is based off of, why would people go there? It's all about what's there. There's going to be no foot traffic at a vacant building. But you put something that gives people a reason to come out. It's going to need foot traffic, but the first hurdle is to give people a reason to want to come down here. Right now you have four reasons to come for the restaurant, you have a fifth reason to come for the vending station, a sixth reason for the bar, and a seventh reason the stage. So we're always going to keep the space active. Even if you aren't hungry, we're going to have comedy nights, poetry nights, live music, and brunch. Even if you just wanted to have a good time and have a drink, that's another reason to come here. And if you're in a large group, there's something for everybody. I think about that all the time -- the foot traffic. I always say worry about the things you can control. I'm going to do the best I can do in terms of building the space, servicing it, creating an environment for people to be happy. I would like them to come. There's nothing you can do past that point. I do the best I can do and take it one hurdle at a time. Just create the best space within these four walls that I can create. Why did you decide that this was what you wanted to do? Yes, and opening a small business. If you would've told me two years ago that, "Cory, you're going to be in the restaurant business," I would have said you were out of your mind. Never. Though I've never worked in the restaurant business or the bar business, I saw an opportunity... to eat! It was just based off of that. That's why the vendors are important. I think everybody has to do their part. I can put together the deal, and obviously I do the construction now, but I can't cook. I can eat. So I bring in the people who actually have the passion to do it. This is not a big project; it is a very small project. It is a bunch of small pieces that came together under one roof. On its own, that's just a little booth. But now that there's four of them and five of them, and we have some momentum. We are all together moving cohesively. I think that's what I like about Troy; the design of Troy itself is amazing. It's like a web-like structure that's really dense within the downtown, which is better to me than the strip. The strip focuses heavily on the strip. The thing about Troy about is once you park your car and you're in downtown Troy, you can walk to everything. What I want to see is restaurants and entertainment designations everywhere. I met someone that was trying to open a restaurant and I went to great lengths to help them because, if we fill this place up with food, Troy could become a food destination. So I think it's not about me or the next guy, but about Troy as a city. Let's get people down to Troy first. Lets give people a reason to come down to Troy. Everybody wants something different. Some people might not want Troy Kitchen that night, they may want to go to the wine bar, to Peck's, or to The Ruck. Having something for everybody, no matter who you are, there is something for you in Downtown Troy. That's my vision for this city as a whole. Troy Kitchen will be open Troy Night Out, Friday, February 26th from 5 pm-2 am. 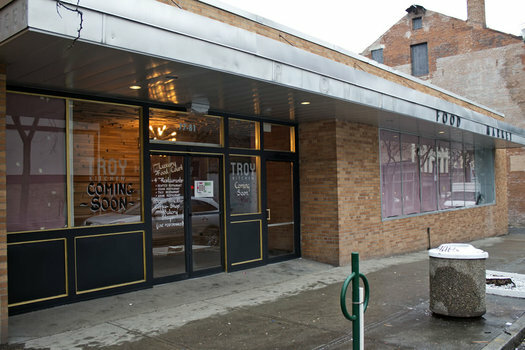 Update February 29: Cory Nelson says the TNO opening ended up serving as a soft opening for Troy Kitchen, and the venue will officially open in "about 2 weeks." 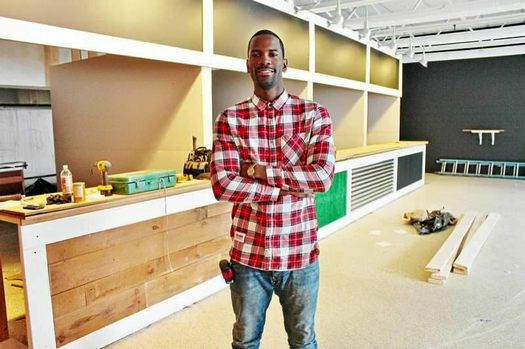 He said the extra time will allow the fourth restaurant, as well as the coffee shop and a bakery, to set up. I'm excited, it seems like the perfect date night venue. Drinks, food to nibble on, watch a show and then get coffee afterwards. All in one. 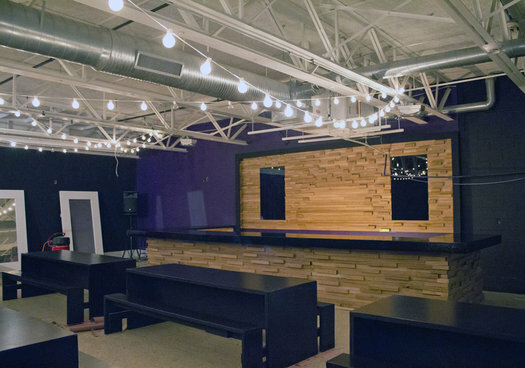 Very cool - I can't wait to check out the space during TNO. Congratulations, Cory! what happened to the Pioneer Food Coop? Bullwinkle- it imploded under the weight of a massive amount of debt. AoA had some great posts about it. @Bullwinkle: Here's a post that was written by a board member about the problems the co-op had. This is a great idea. I hope it's successful. I had thought the fourth vendor was going to be a vegan restaurant? Is this not the case anymore? if not what happened? The front of the building and street looks sadly uninviting. Maybe just an unlucky camera angle? The inside looks fantastic. Is the ramen restaurant a Tavern by any chance? I'd really like to see a better connection between the Asian community and the ramen noodle shop proposed here. There is one down the block on Fourth Street. Why not connect with them? I'm not interested in $12 ramen noodles with a quail egg on top but am looking for an authentic ramen dish. Let's not do that. Also, Corey and Vic need to stop with the Brooklyn stuff. A lot of us that settled in Troy were born in Brooklyn; talk about what makes you special. Also, try to avoid the cheeky Duncan press event. He's not very nice. Starting with the "no parking" cry already. Please remember that this is literally around the corner from The Ruck and The Shop, which also don't have a parking lots, BUT there is plenty of street parking on 3rd and 4th streets AND KeyBank's lot can be used during the posted hours. Or ya know, walking a few block never killed anyone. Laura- There's a city lot at 5th and Congress which is open nights and weekends. That's about 400 feet away across from the Stewarts. Also, 3rd St btwn State and Congress almost always has available on street parking and is just around the corner from the market- it only fills up during the farmers' market and when there are shows at the TSB. There are many lots around this place where you can park after hours, usually after 5, without fear of getting a ticket. Looks great! Afterwards, you can head to your car and maybe you'll be robbed of your cell phone! Or maybe not, its a coin flip! Troy is on the up! went here last night. nice concept, good food , not every station sold drinks. so you had to wait in another line. other than that good job corey. For the best Ramen you'll need to drive across the river to Albany.